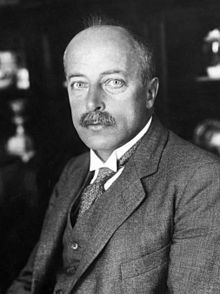 Fisicí Gearmánach ab ea Max Theodor Felix von Laue (9 Deireadh Fómhair 1879 – 24 Aibreán 1960). Bhuaigh sé Duais Nobel sa bhfisic i 1914 as a thaighde ar dhíraonadh X-ghathanna le criostail agus, leis sin, tomhas tonnfhaid X-ghathanna. Tugadh an leathanach seo cothrom le dáta an 12 Meitheamh 2014 ag 14:52.